League of Legends is a community known for its flamers, and we aren’t talking about the dragon. Almost every solo queue game has a flamer, whatever your MMR. These people will get angry at you over your score, your attitude back and they can even abuse you in a foreign language. One of the most commonly asked questions on League of Legends forum is how to deal with flamers. 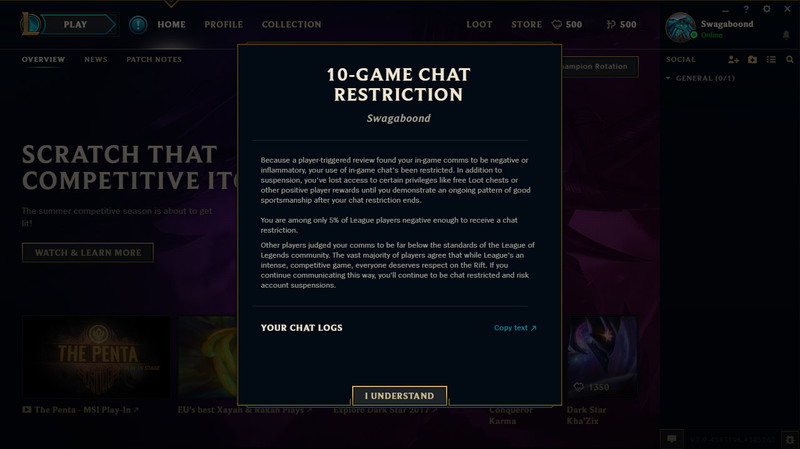 It’s easy to tilt from their abuse and it can ruin the fun, so we decided to tackle this issue. Now don’t worry – I know exactly what you’re thinking. Well I admit that the above comments are harsh and offer no insight as to why the person is angry. Nobody wants to deal with harsh comments that criticise their gameplay, champion selection, parents or even their lifestyle. Unfortunately It’s a fact that Someone has to be the bottom of the scoreboard and even the best players can find themselves there. This gives the flamers their target. Their words and actions only make you perform worse and they will harrass you until they get a reaction. Once your own red mist descends it’s usually a lost game. You can read more about this in our article about League of Legends tilt. To avoid tilting it’s important that you learn how to correctly deal with flamers in League of Legends, although this advice could work in any other online game. It won’t work in Call of Duty though – That’s unsaveable. If you are getting flamed there are three possible outcomes. Firstly: you might understand the reason they are flaming (but this doesn’t make it right) as you are not performing very well. You understand the players frustation and should focus more on the game at hand. Secondly, you might not understand the reasoning behind the flaming because you aren’t playing as badly as they make out – they could even have a worse score than you! The third and final possibility is that they are flaming you in a language you don’t speak so you have absolutely no idea what is going on. In all three of these scenarios you’ll never benefit from trying to reason with the person flaming you. They are most likely angry which makes their points either exaggerated or just straight made up. Angry people don’t think rationally and they simply want to vent their anger out on the easiest target. If you have done something that they don’t like then that target is you. If you try to reason with the flamer then you will find yourself on tilt. Just mute them. If you start to try to reason with the person flaming you then you are either going to anger yourself, anger them further, lose focus on your game or simply waste your time. 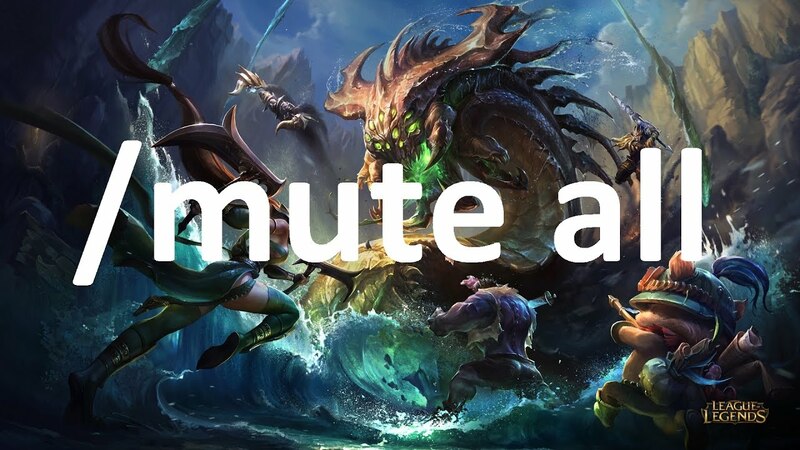 By muting the person flaming you can focus on the only thing that is important during a game of League – playing it. While it can seem difficult to want to mute this person it’s vital that you follow this advice if you want to win games. There’s a great command known as “/mute all” which will mute everyone in the game – You can use this at the start of the game if you struggle to ignore flamers once they have started. The most common answer to ‘how to deal with flamers’ is to simply ignore them. Except it isn’t that easy. While this is a possibility you can’t ignore everybody in the entire game all the time. It’s a team game and if you start to ignore everyone and play solo then you’re not going to have fun – or climb. An important thing to realise is that no matter how well you perform or how many games you win there will always be flamers. It’s a sad fact of the internet that with the anonymity and lack of person to person interaction it’s very easy to say some horrible things. Most flame can be completely ignored because it’s absolutely useless but if you want to deal with flamers in the correct manner then you need to realise that sometimes you can turn this negative experience into a positive one. Yeah sure the person is extremely angry but hey – Maybe if you remove the insults and swearing they could have a point? Let’s assume that you are the top of your team with the most farm and the most kills and yet you still get flamed for losing the game. Maybe you get flamed for your item choice or certain decisions in game. If someone flames you for a decision you made then they could actually have a point. Ignore the abuse in their sentence and think about the core message. Is that really the best item you could have bought in this situation? Is split pushing the best way to go? Should you really be team fighting? If you learn how to deal with flamers in this manner then their negative abuse can actually help you improve at League of Legends and climb the ranked ladder. Think of it as free advice (and trust us – A lot of people will pay for advice). It’s true that 90% of all flamers can be muted and ignored but if you can use the other 10% to improve your game then you’ll find yourself in Diamond in no time. Just understand that no matter how high you climb you’ll still always get flamed. The highest leave rate is Bronze – the second highest leave rate? Diamond. While it may seem silly to flame yourself it can help you deal with the whole flaming situation. You should start to criticise your own gameplay even when you win. This will make sure that you don’t make the same mistake twice because you’ll remember the silliness of the situation. You can also realise that the words that people say can be said by you to yourself and yet you don’t feel like they mean anything when you do this. If you want to know how to deal with flamers then you should become a flamer (but only to yourself). This will help you build up a tolerance to the verbal abuse that they give you. This doesn’t help you too much, since after the game is finished you’re probably never going to see them again. However, by reporting them you help Riot rid the game of bad eggs. Think of it like clearing trash from a beach; It doesn’t matter that you’ve only cleaned up a single beer can – if people took a single piece of rubbish every time they visited, then there’d be hardly any plastic bags left – this same principle goes for League of Legends. We admit that this won’t help you deal with the flamer in your current game – but taking a break can keep you from losing future games. Spending half an hour watching cat videos will put you in a better mindset to deal with flamers in your next game, but it’ll do more than that; It will prevent you from becoming one yourself. The more games lost to flamers, the more your theory that all teammates are trash is confirmed. However, by taking regular breaks you refresh your mind, and get rid of all the stress from previous matches. Reacted to a Flamer and got banned? 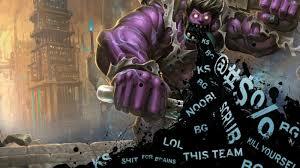 Start again with a LoL Smurf account!